I suppose it had been bubbling under for a while, but here is really where it started, with a deliberate resurrection (or perhaps a reanimation) not only of a mode of film popular in the 70s, but of a film made by Hammer, itself long thought entombed. The undead. And it's important to pick up on that whole Dracula Has Risen From the Grave thing, because it's Wake Wood, more than anything else, that marks the real change in how cinematic folk horror happened. 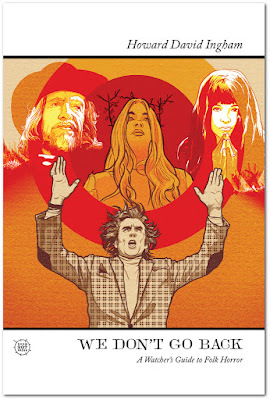 Blood on Satan's Claw apart, folk horror had been up until now an accidental genre, as I keep saying. People making films and TV didn't set out specifically to make “folk horror”, they set out to make compelling dramas that chimed with the cultural preoccupations of their day. And Hammer, back in that first era, didn't aim to make “Hammer movies”, they set out to make the best horror films and thrillers they could with the resources they had. 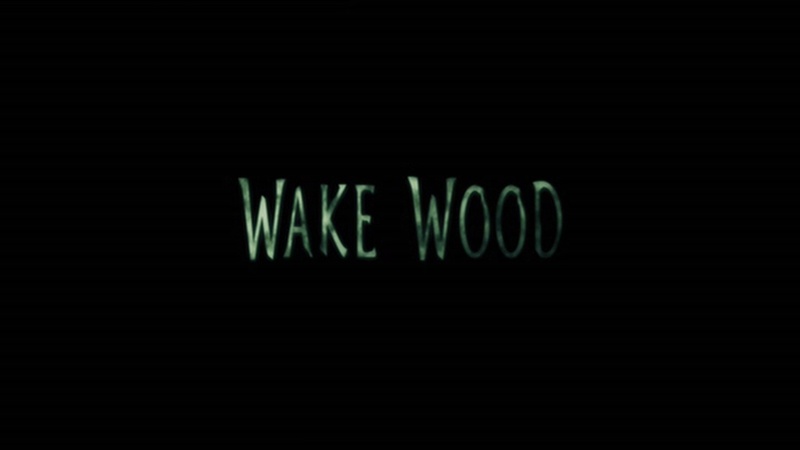 But Wake Wood is intentionally a folk horror film. And it's intentionally a Hammer film. And there's no reason to attach a once-defunct brand to a movie unless you want to attach yourself to the historical associations of that brand. This is specifically a “Hammer film”. It has an intentionality. It has been labelled thus, and must live up to its label, and begs to be judged by how it lives up to that label. And I don't know what to think about this, if I'm honest. I mean I've deliberately written folk horror stories, I've scripted a folk horror comic, and written a folk horror role-playing game, and the simple fact that the most popular feature on my blog by some distance has about ninety posts labelled “folk horror”, and that people want to read a book about it, means that I'd be mad to deny that the intentional folk horror scene has been good to me. Complaining about it is one step away from saying that I liked folk horror before it was cool, and I don't know about you, but I don't want to be that person. But it's also wilfully blind to deny that there isn't a quantifiable difference between a film that winds up being thought of as folk horror because it has elements that you'd identify as folk horror tropes and a film that's deliberately pitched as the full package, a folk horror film. The Wicker Man isn't a folk horror film. It's a film that happens to be a quintessential example of folk horror. 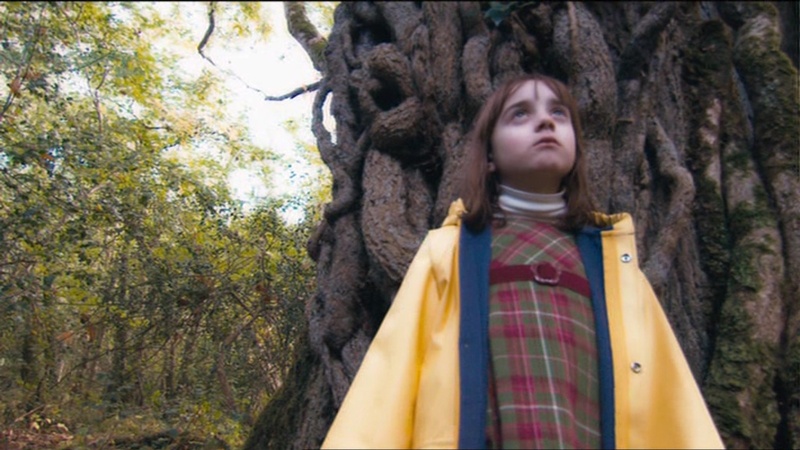 Wake Wood, though, is a folk horror film, the whole package. And the package is pretty complete, all told. We have outsiders, urban, moving to an isolated rural community. The community’s geography is clearly delineated. 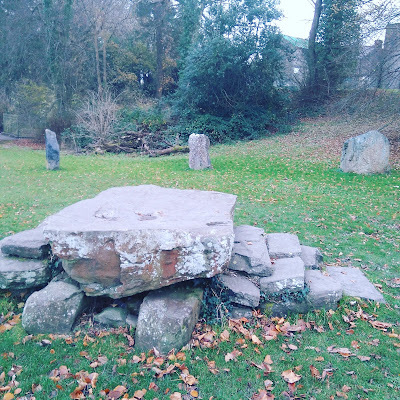 The community has its pagan practices, performed in secret, and these practices have rules; the conflict between the outsiders, who do not understand how the rules work, creates a summoning and a happening. You can fill more boxes on the Folk Horror Bingo card if you look: one of the outsiders is a vet? Check. There's a ritual scene? Check. The pagan villagers have a genial and paternalistic leader? Check. There's a pregnancy involved? Check. One of the supporting characters is psychic? That's practically the whole card. 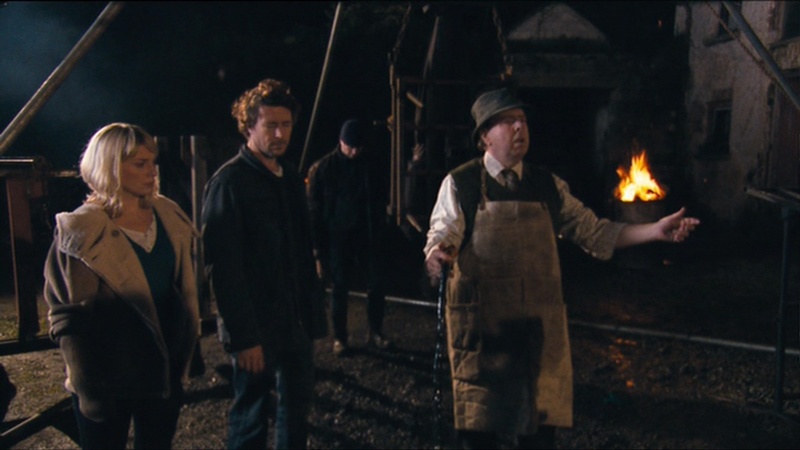 Specifically, vet Patrick (Aidan Gillen) and his wife Louise (Eva Birthistle) move to the rural community of Wake Wood, as an attempt to get over the grief of having lost their daughter Lucy (Ella Connolly), who died after having been attacked by a dog. In the community, Louise and Patrick discover that pagan rituals are afoot. But in a twist, it turns out that these are not malevolent rituals. Local dignitary Arthur (Timothy Spall) explains that the villagers’ witchcraft in fact enables those who have lost loved ones to get them back from the grave. They have to have been dead for less than a year. It's temporary (they're “on loan”, he says), lasting only three days, and they can't leave the boundaries of Wake Wood, a border helpfully delineated by a ring of wind turbines. All of these rules absolutely must be followed, or something terrible might happen. Patrick says that Lucy has “been in the ground” just over eleven and a half months, and this is good enough for Arthur, but of course this is a cheat, because that's not what the deal was. Although everything seems OK to begin with, it becomes apparent that Lucy has Come Back Wrong, and she cuts a demonic, bloody swathe through the innocent inhabitants of Wake Wood (and the animals too). It ends in blood, and horror, and loss, and then in a frankly baffling coda where all vestiges of sense are forcibly ejected from the establishment and barred for life. And that is really the whole plot of the film. It's neither a long nor a complex film, and as horror films go, it's… well, it's efficient. Chekhov puts a lot of guns on stage, and all of them go off, exactly when and how you'd expect them to (for example, Patrick performs a caesarean section on a cow at the start of the film, a scene of some length and detail – will he perform one on a human later? Hmm, could be). The one genuinely interesting and somewhat less derivative idea the film brings to the table is that the pagan village conspiracy are all nice, compassionate people who act with a genuine altruistic concern, and that is easily the best thing about Wake Wood. But it also puts the film in a difficult position, since it problematises who Patrick and Louise are, and how they treat the villagers. There's no doubt that Patrick and Louise are the protagonists, and even that they're supposed to be sympathetic, but at the same time everything bad that happens is entirely their fault. In fact, they are the teacher's bane, the middle class parents who expect the rules to be bent for their kids, and don't see the consequences of what breaking the rules means. Those people, the ones who are the reason I'm not in any of the Facebook groups for parents at the schools my kids go to. Except with Patrick and Louise, the misapprehension that the rules don't quite apply to them extends to a metaphysical level. And again, there's nothing wrong with a flawed protagonist (hello, Sergeant Howie), but it's how those flaws express themselves that makes the character. Because even with that One Little Breach of the Rules, they should be sympathetic, and could be sympathetic, since they have lost a child, and they are grieving for a child, and it has torn them up, and when you're in pieces you break rules, and can be given a pass for that, but we don't see that. We see a sense of entitlement. Wake Wood is a very liberal horror film, and not in a good way: it's centrist in the way that it tries to give everyone a fair shake, to assume that everyone's point of view is worth a listen, but rather than give people’s feelings a genuine airing, it's wishy washy, empty, confuses misanthropy for philanthropy. The denouement of Wake Wood only doubles down on that. The compassion of the villagers and the psychopathic sense of entitlement Patrick displays both beggar belief, as the villagers allow the man to take advantage of them once more, even while he's been directly responsible for the deaths of several of their own, and Patrick prepares to do something ridiculously horrible. Even aside from the morality of it, it is one of the most bafflingly daft endings I have ever seen in a film. Even if you think about it for a second, it falls to pieces. I described Wake Wood as efficient. And for all that it's a useful thing for a film to be, efficiency is not a characteristic I particularly value in films, and if I call a film efficient, it's almost invariably because I can't think of anything else good to say. And I do not much like Wake Wood. I think it's a cynical film. I think that its adoption of the tropes of older, better films in the folk horror genre is exactly what I said, Folk Horror Bingo, and crossing off the bingo boxes supersedes even an attempt to create a genuine emotional arc for anyone. There's a value in being consciously retro, but that lies in exactly how you are consciously retro. Just ticking the boxes isn't even homage, really. It's a product. But on the other hand, Wake Wood was in some sense the first significant, credible, important attempt at a deliberate folk horror film. And there isn't anything wrong with the idea of making a deliberate 21st century folk horror film. True, trying to start a franchise linked to the old folk horror classics wasn't going to work either (as we'd see with The Wicker Tree), but it wouldn't be long until directors like Ben Wheatley and Robert Eggers would come along and show us how it was done. And even if it's a misstep, Wake Wood is still the film that really kicked things off.